It's been a couple of months since we last put together a list of ten awesome auto industry blog articles. Since then, there have been plenty more share-worthy blogs to sift through! Similar to part one, the blogs we've shared below are from all different segments of the auto industry, providing value for several auto niches. Topics range from vehicle maintenance and safety to best practices for marketing your automotive business to both B2B and B2C. A study from GE Capital Retail Bank in 2013 found that 81 percent of consumers research products online before making a big purchase decision. This percent is expected to continue to grow as consumers become more comfortable with the integrity of online information along with the readily available product information. From clothing to electronics to large appliances, shoppers are using the internet to make smarter decisions before opening their wallets. Incorporating VIN decoding enhances online shopping and sales. For online businesses that handle vehicle sales, car parts, automobile accessories, or just about anything car-related, you know there is plenty of competition out there. Competing successfully online requires more than just good pricing. You need to differentiate your offering and online experience to make it stand out. By integrating advanced vehicle data and VIN decoding into your customer's online experience, you can create an advantage over your competition's online offerings. The VIN can be used to pull information on the vehicle and provide back to the customer a custom set of offers focused on the vehicle your customer owns. 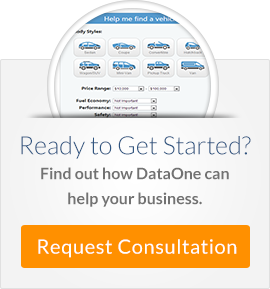 Never before have there been more ways for auto dealers to market inventory to customers - who are able to take advantage of unprecedented availability of vehicle data and methods of comparison shopping. After nearly three decades of production, Suzuki has announced its departure from the U.S. automotive market. Suzuki first began manufacturing automobiles for the U.S. market in 1985 and will stop selling automobiles once their current supply runs out. They will however continue to produce motorcycles, ATV’s, and watercraft here in the U.S.
Gen Y (18-34) / younger drivers - driving on the decrease? We found an interesting study this morning published by Google which describes consumer automotive shopping behavior in 2011. Some highlights below here as well as a link to Google direct for the full presentation. As technology, solutions and inventory processes continue to evolve, automotive marketing companies face some interesting challenges when it comes to vehicle marketing. With so many classified sites representing dealer inventory locally, regionally and nationally – it can be difficult to “rise above the rest”. This is also (maybe especially) a challenge with Franchised automotive dealer websites which represent an auto dealers inventory direct. We came across this fun video, and while it is entertaining it also serves to really make the point that the right car for a potential buyer is really based on that buyers needs. Although we think few consumers will struggle to decide whether they will purchase a Ford Fiesta vs a Lamborghini - it is clear that vehicle comparison is a critical piece of vehicle marketing.